My biggest news for 2016 so far is that at the end of February, I became an auntie. My brother and his girlfriend announced the arrival of little Jack and life has never been the same since. Well, mostly for them of course – I still get a strong 7-8 hours sleep, can have a shower whenever I want, and am responsible for nothing except feeding my cheese on toast addiction. But my brain is all about baby Jack and when I’m next going to get to have a cuddle of him. A new baby joining the family is life-changing for everyone. Conversations, decisions and occasions all revolve around him now. He has more power than any of us job-holding, mortgage-paying, degree-awarded adults, and he’s only been in the world for 53 days, the clever little thing. 1. 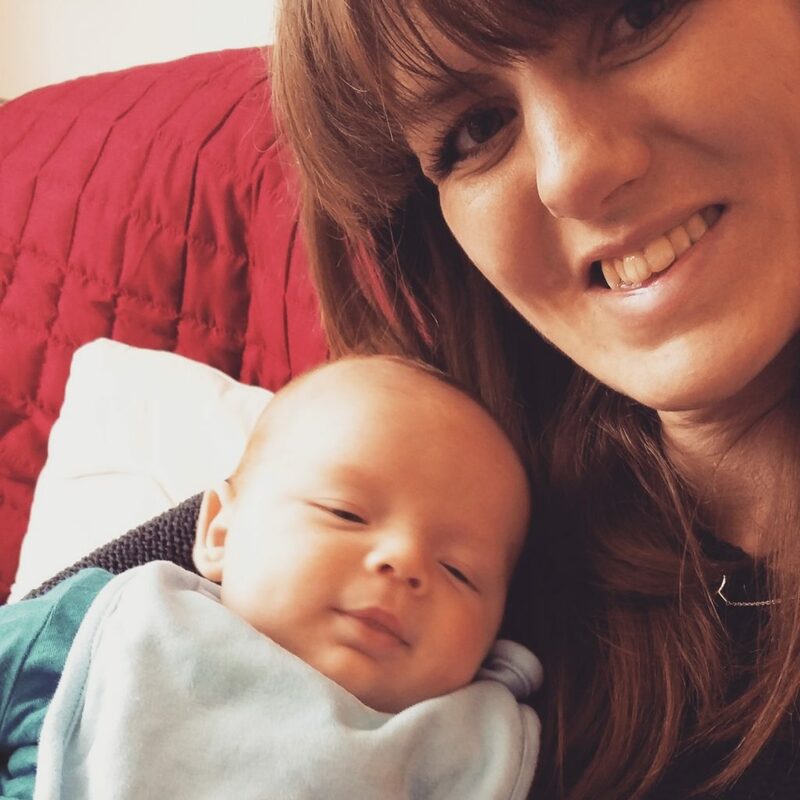 You stare at their photograph like a lovestruck boy band fan – The morning after Jack was born, my husband found me lying in bed, glued to the picture my brother had sent through of him the night before. I was completely in love with a baby I had never met. Scrolling through photos of the little dude is now my favourite pastime. As soon as a major baby comes into your life, you understand why parents can’t help but take pictures of their child’s every movement – their existence will never cease to feel miraculous. 2. You develop a newfound respect for your sibling – One minute your brother’s refusing to let you have a go on his Game Boy and making you so angry that you run into his bedroom and rip his posters off the wall (as discussed previously we didn’t always make life easy for each other when we were growing up), and the next he’s presenting you with his brand new baby son and making you feel so proud that you burst into tears. Having a brother really is an emotional roller coaster. Seeing your sibling and their partner more tired than they’ve ever been and yet still doing an amazing job of looking after their little one is enough to make you bow down in awe. Leon and I might think that staying up late watching old episodes of Family Guy makes us tired but something tells me that we don’t yet know the meaning of the word. 3. You and your partner vow to be the best aunt and uncle the world has ever seen – We were beside ourselves with excitement when we were heading up north to meet our nephew. I didn’t quite realise until he was born how much his arrival would feel like a gift for us too. We’ve cooed over little outfits together (often discussing just how many of the patterns on Babygros we would both happily wear on our own clothes), we’ve considered all the London sites we’re going to show him when he comes to visit, and we’ve wondered just how old the little guy will have to be before we stop referring to him as ‘baby Jack’. (Our current estimate is 18). 4. You’d think that no other baby had ever been born – I do know that Jack is not the first baby ever to grace the planet. I understand that I was once a baby and that you were too. And yet I can’t help but feel that there is something extra special about this one. In conversations I want to say “No but you don’t understand, this guy is extraordinary. I swear, nobody has ever worn dungarees so well.” But I know this is just what happens when you have a new little human in your life. In the interests of avoiding being branded a mad aunt at this early stage, I’m trying to keep this kind of observation to a minimum (although seriously his style is on point). 5. You give yourself far too much credit – When I arrived at his house this weekend, after just a few minutes of trying to figure out which part of my chest was most comfortable, Jack fell asleep. And even though my head knew that he would definitely have drifted off anyway no matter where he was lying, my heart remained open to the idea that I was in fact a baby whisperer. 6. You discover that ‘eau de baby’ is your new favourite smell – It’s a good thing that it’s not possible to inhale an entire baby otherwise I fear I might have done just that. Everybody says it but my word they smell amazing. I find myself sniffing the clothes I wore to visit Jack just to get a little dose of that gorgeous milky scent. It’s such a shame we all lose our newborn smell; I’m sure commuting through London would be a much more pleasant experience if everybody smelt like a freshly baked biscuit, instead of a hot sweaty mess of body odour, coffee, and rage. 7. You get to watch somebody learn how to be a person – The first time I met Jack he was only 10 days old. He was the littlest human I had ever seen. This time, just over a month later, he was still small, as you would expect of a baby, but he had clearly already learnt so much about the world. He can pretty much hold his own head up all by himself, he can knock back an entire bottle of milk without even needing to come up for air, and he can smile. These are major achievements. The only thing I’ve learnt in the last month is that eating two creme eggs in a day will make you feel just as nauseous as you would expect. If being an auntie has taught me anything, it’s that I really need to start making better use of my time.